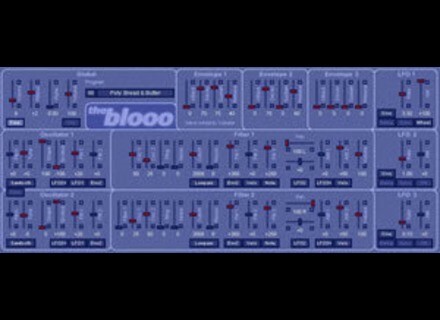 The blooo, Other Virtual Synth from Full Bucket Music. Full Bucket Music has updated the blooo to version 1.0.6 and Mono/Fury to version 1.0.4. Full Bucket Music has updated The blooo to v1.0.4. Full Bucket Music has released The blooo, a free polyphonic software synthesizer plug-in based on the classic subtractive synthesis architecture.